In terms of hip hop culture there are very few iconic items, images or people who have featured in its timeline from its inception the late 1970s to the present day. The Technics SL-1200 turntable fits that description and has been around since the very beginning; from the block parties in the South Bronx to providing the backing soundtrack to rappers and break dancers in 2016. DJ Stretch Armstrong mixing on a pair of Technics SL-1200s at the WKCR studios in the 1990s. Manufactured by Panasonic and known for their reliability and solid build it not only demonstrated the innovation in the Japanese electronics sector but it cemented the turntable not only as a record player but as an instrument. Through the era of electronic and funk influenced rap music in the 1970s and 1980s, gangster rap in the 1990s and finally in the present day, DJs continue to use and rely on the Technics SL-1200 and SL-1210 turntables. There are minor differences between the SL-1200 and SL-1210 but the main one being the colour; the latter first appeared in Europe in satin black when the MK2 was released. A high torque direct-drive turntable coupled with slip mats (obviously not included in the box) ensured that DJs could scratch, juggle and mix two records without the vinyl records slowing down on the platter. On top of that the turntable had great vibration insulation and if it ever faltered you could take apart an SL-1200 and pretty much fix the whole thing as long as you had a service manual and a soldering iron. Before Pioneer‘s CDJ-1000 digital turntable was released, every teenager who dreamt of being a DJ wanted a pair of SL-1200MK2s and a mixer (in my era the mixer of choice was Vestax). Subsequently Serato, Traktor and various digital DJ controllers were released that allowed DJs to mix digital files such as mp3s. Frankly, as a teenager with no income the thought of owning a pair of Technics and a Vestax mixer was as far away as owning a supercar. Thankfully I did reach a stage where I could afford a Vestax mixer and second-hand SL-1210s in my early twenties that I refurbished myself with a screwdriver set, a soldering iron, countless parts purchased on eBay and a lot of patience. I still have it in a flightcase. The legendary status that the Technics brand garnered for itself, from the original release in the 1970s to 2008 when the MK6 hit the shelves of Japan, still continues to this day and fans of vinyl still swear by them. This love for a device that essentially plays vinyl records is not unique to hip hop culture and rap music. All genres of music that require a DJ appreciate this glorious machine just as much. In fact, the Science Museum has a pair of SL-1210MK2s in its collection. With the rise of cassette tapes, CDs, then digital music outlets such as iTunes and then the demise of CDs as streaming became more of a prominent way of consuming music, Panasonic decided in 2010 that it would stop manufacturing Technics branded analogue turntables. The music world simultaneously exhaled a sigh of sadness. Fast forward five years to the present and vinyl sales are exponentially increasing, more labels are (re-)releasing music on vinyl and Amazon is raking in money by the truckload from turntables that look like suitcases. 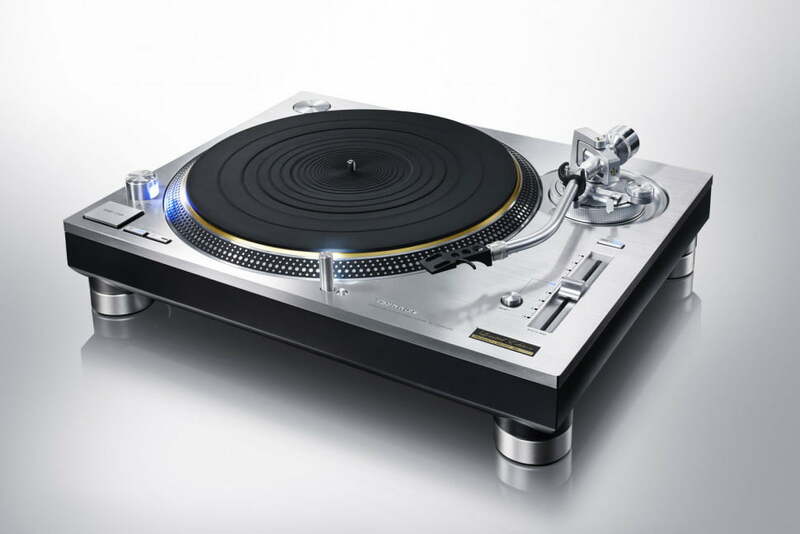 Obviously taking that trend into account, at September’s IFA consumer electronics fair Panasonic announced that it would be bringing back the Technics brand and start making analogue turntables again. This time a sigh of relief from vinyl junkies and DJs could be heard because the price of second-hand 1200s and 1210s were getting pretty extortionate as stocks dried up. 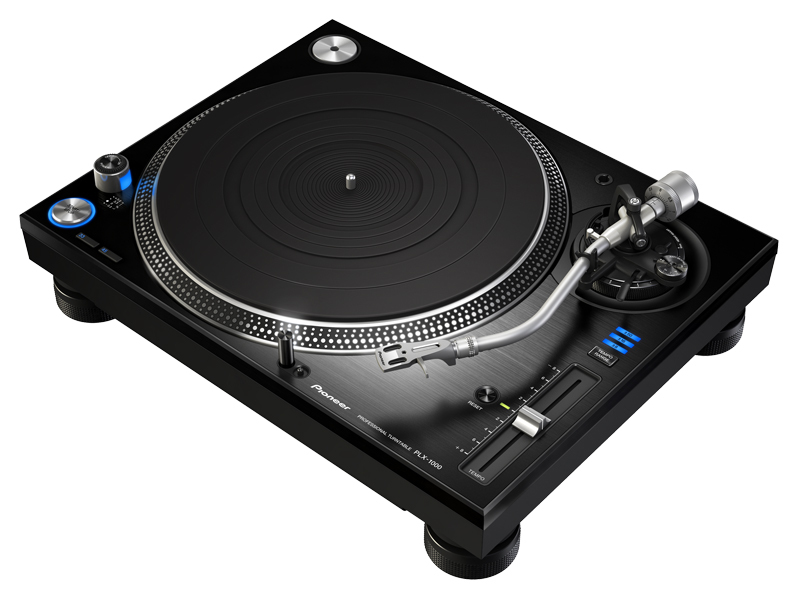 The new SL-1200 which officially be known as the SL-1200G will be released later this year and reportedly costing $4000 (£2750 or €3680 at today’s exchange rate). $4000! Who are they marketing this at? Music lovers or oil billionaires? I’m sure some oil billionaires like vinyl too but surely that market can’t be huge. I suppose the argument, and the marketing, goes that the new turntable is aimed at audiophiles (definition) instead of wannabe DJs or even professional DJs for that matter. I hate to break it to you Panasonic but people who are serious about listening to music in its purest form on high-end equipment are not going to be tripping over themselves to buy the SL-1200G. What’s even more annoying is that Panasonic has also announced that there will be a limited edition of the SL-1200G called the SL-1200GAE limited to a run of 1200 encased in magnesium, the standard $4000 model is cased in aluminium. A part of me hoped that Panasonic had seen the light and realised the brand power of Technics and the legendary SL-1200 series but now it just comes across as a cynical money grab. Clearly they’re not holding a gun to consumers’ heads to buy their product but for the incremental changes they’ve made it seems more like a money grab than a serious attempt to get back into making turntables. Clearly Panasonic cottoned on to the resurgence of vinyl too late. Pioneer, as mentioned above, made huge inroads into the sector and ate away at Technics market share with the CDJ series (especially CDJ-1000 that became the industry standard). Pioneer has been very much a company that has proactively been trying to develop new features and technology for DJs to utilise in their CDJs, DVJ (digital turntables that allow the manipulation and mixing of video) and DJM mixers. In summer of 2014 Pioneer announced the PLX-1000 analogue vinyl turntable aimed at the market that the SL-1200 previously occupied. At the time it seemed odd to me that Pioneer was going to release equipment for a format that appeared to be more niche by the day. At $699 (just over £500). It looked like a SL-1200, it felt like an SL-1200 but it had detachable RCA and power cables, which if you don’t know much about turntables is a blessing from the DJ Gods. It has a high torque motor with a heavy and very stable platter which is exactly what you need in a music venue situation. It’s by no means as iconic as the SL-1200 yet but it does the job just as well. In hindsight it seems Pioneer either struck it lucky or they saw the vinyl resurgence coming and acted pre-emptively. This brings me back to the new SL-1200G. Casual listeners of vinyl records will either get a belt drive system with built-in speakers for the bedrooms or opt to buy a hi-fi turntable and connect it to an amplifier. DJs/music venues are not going to pay $4000 for a yet unproven product and lastly connoisseurs of high-end audio equipment will see it as a rehashed SL-1200 with a ten-fold mark up. All of the above inevitably raises the question of why did Panasonic even both tainting the image of such an iconic brand by announcing the new SL-1200? Panasonic has its fingers in enough technological pies from digital SLR cameras to shavers that the commercial success or failure of the SL-1200 won’t be significant either way. However, it seems a shame to put this new iteration of such an incredible product with such a rich history out of the reach of so many of its biggest fans. What Panasonic’s strategy is likely to do is drive customers to Pioneer‘s doors because as it stands with the SL-1200G standing at 600% more expensive than the PLX-1000 why would you not opt for the latter? Yes, the former is a Technics and it’s gorgeous but I can’t help but suspect that even the most devout Technics fans would struggle to justify such an expensive purchase. Am I bitter? I would say no, the overwhelming feeling is one of sadness to be honest. Let’s hope Panasonic sees sense and announces a model that is a direct follow-up to the SL-1200MK6 that doesn’t require a secured loan to purchase. Wouldn’t hold my breath though so if it must be a Technics then opt for a second-hand SL1200MK2 or SL1210MK2 and make a restoration project of it like I did.